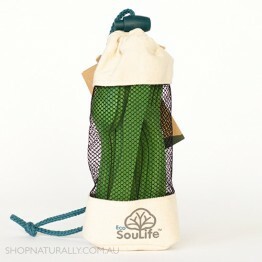 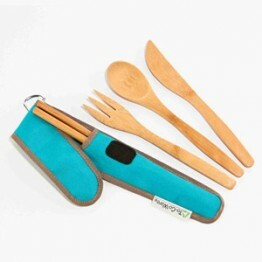 When it comes to eating on the run, there are many reusables that you can easily carry with you. 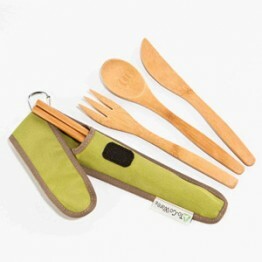 When you're packing your lunch bag, it's easy to pack cutlery, cloth napkins, snack jars and more with your lunch box. 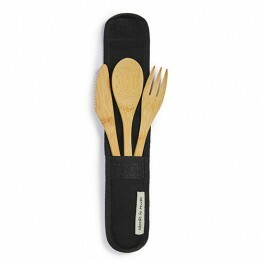 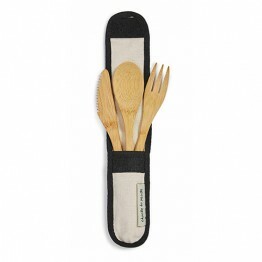 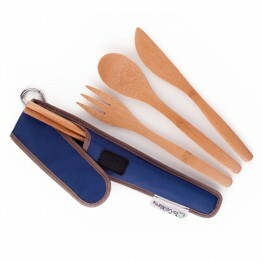 When you're grabbing takeaway on a busy day, it's still super easy to have a set of bamboo cutlery or any type of reusable cutlery set in your handbag or glovebox. 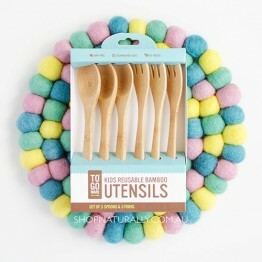 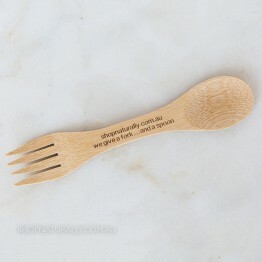 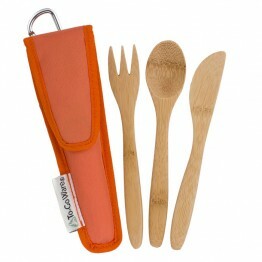 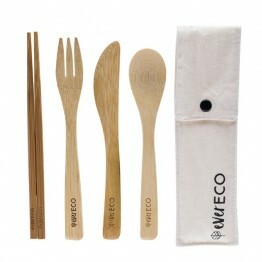 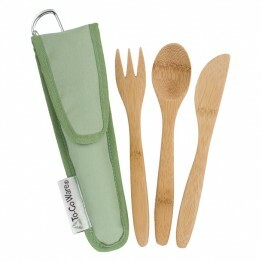 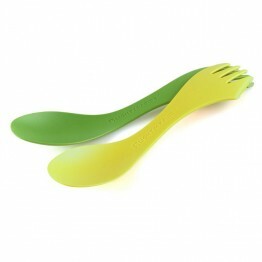 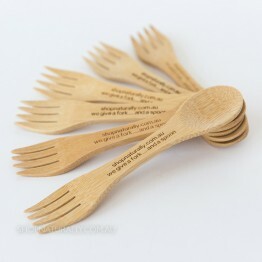 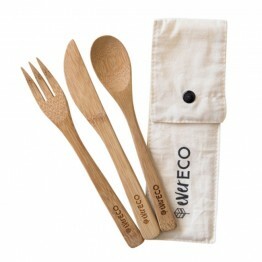 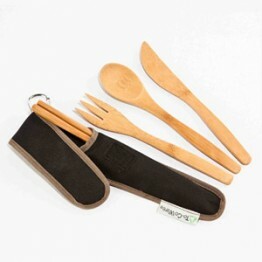 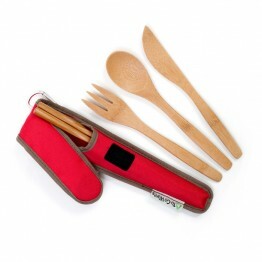 Whether you just need a spork or a full cutlery set, we have options to suit everyone and even picnic sets made from bamboo pulp and cornstarch. 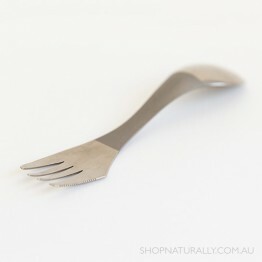 For the ultimate in durability and feather-light in weight, an investment in the Titanium Spork from Light My Fire will last you a lifetime. 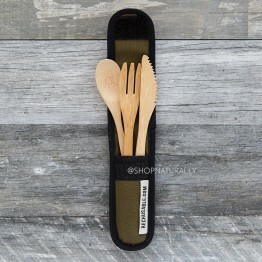 A spoon, fork, knife combo. 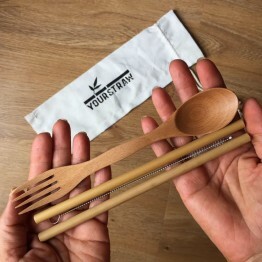 A generous sized spoon, fork, knife combo.